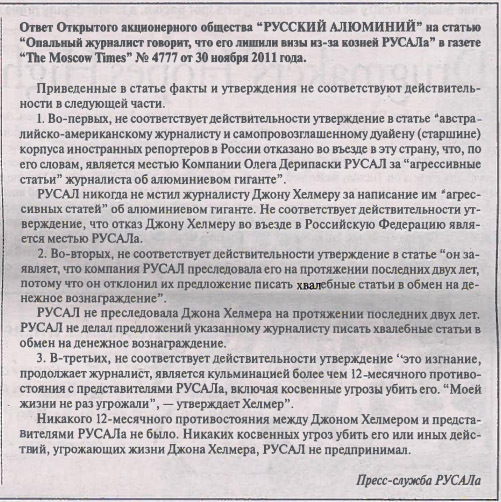 In its May 23 edition, the Moscow Times has published the following item, apparently a notice from the press office of United Company Rusal, directed by Vera Kurochkina. 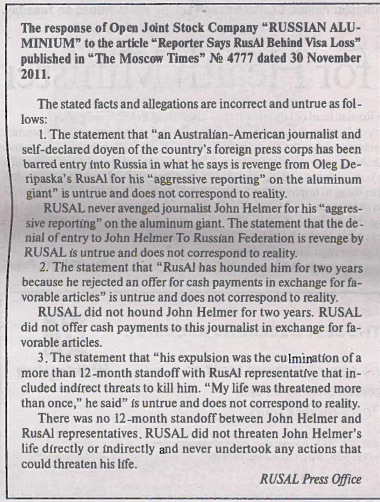 The new statement refers to Russian media reports of six months ago, including a Moscow Times publication which appeared on November 29, entitled “Foreign Journalist Sees RusAl Role in His Visa Trouble”. The Moscow Times has limited the circulation of the latest Rusal notice to its print edition on the day. It has not been published in the newspaper’s internet edition. 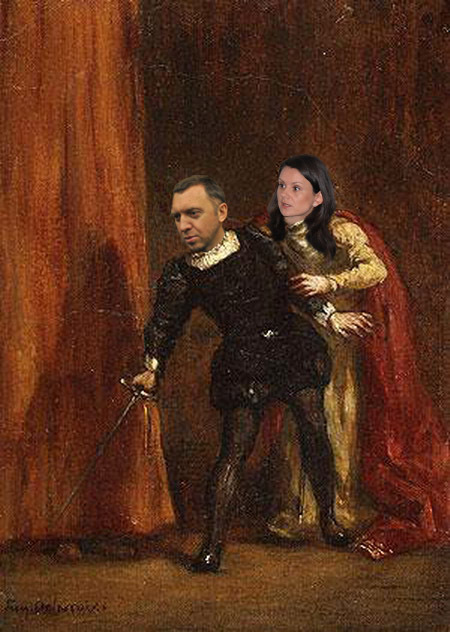 *Queen Gertude (Hamlet’s mother), Hamlet Act 3, Scene 2.